Do you know that many users have unused Azure disks and snapshot data that they aren’t even aware of? Do you know that these unused and abandoned resources keep racking up charges every month even though they aren’t being utilized? 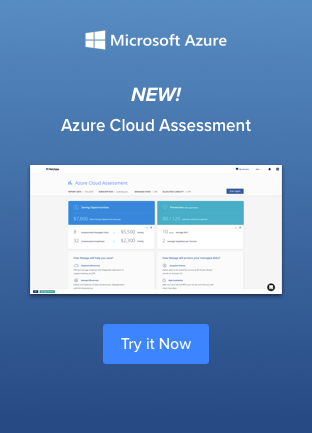 NetApp’s Cloud Assessment for Azure can show you how to find these wasted resources so you can delete them and use less Azure storage and save a big chunk of your operating budget. Want to see how it works? Watch this on-demand webinar where we’ll display all of the Cloud Assessment capabilities. Find any unused, unassociated disks that are still being paid for. Identify unassociated, unused, and outdated snapshots that are adding to the bill. Assess data protection policies and pinpoint data protection holes such as disks without snapshots and snapshot schedules that are not in line with RPO goals. In addition, we’ll introduce NetApp’s Cloud Volumes ONTAP, the industry-leading platform for data management in the cloud, and show how you can leverage its storage efficiency features and data tiering for further reducing costs in your Azure storage deployment. If you’re interested in learning more about saving on your storage spend with Azure, sign up for the webinar, or try the Cloud Assessment right now.